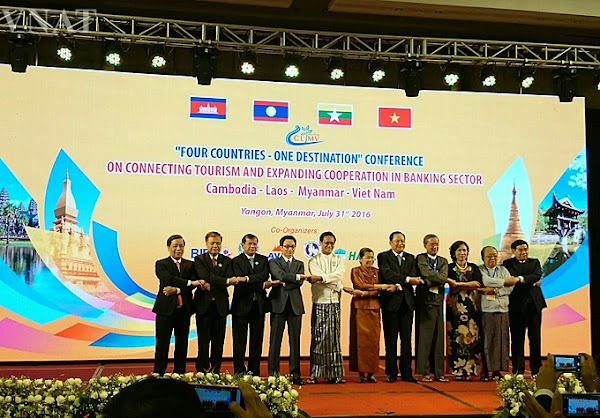 Cambodia, Laos, Myanmar and Vietnam - The "Four countries, one destination"
The Deputy Prime Minister Vu Duc Dam has led the delegation of Vietnam to join the platform, named "Four countries, one destination", held in Yangon, Myanmar from 30th July to 1st August 2016, to connect tourism spaces and on the other hand the four nations also committed to cooperate in the banking sector. 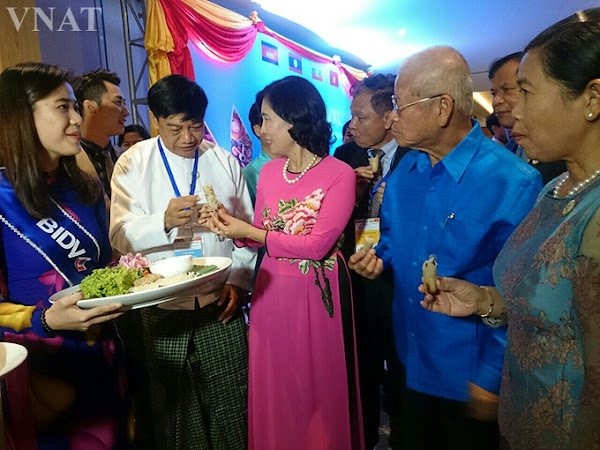 The meeting was organized to promote economic cooperation, tourism and investment among the four countries of Cambodia, Laos, Myanmar and Vietnam (CLMV). It attracted about 500 delegates representing ministries, businesses of tourism and banking in CLMV countries. Specially, there were the presence of the 4 government leaders that are the Deputy Prime Minister of Vietnam: Vu Duc Dam, Vice President of Myanmar: U Henry Van Thio, Cambodian Deputy Prime Minister: Men Xom On and Vice Premier of the People's Democratic Republic of Laos: Sonexay Siphandon. At the main program held on 31/7, delegates discussed on the potential, the strengths and the opportunities for tourism development cooperation among the four countries; the cooperation to build joint products, strategy to promote tourism, to build infrastructure and to develop human resources serving the tourism industry; to promote cooperation between the tourism industry and the Bank, Finance, Telecommunications, ... strengthen the business cooperations among the four countries. VIetnam introduce the unique beverage "ruou can"
At the meeting, mr. Ha Van Sieu talked about some measures to develop the tourism cooperations among the CLMV countries in the coming period, including the mechanisms of the cooperation, the destinations connection, the enhancement of e-marketing, standardization of the tourism services, the investment encouragement and the involvement of third parties, the partnership between states business and the private sectors. 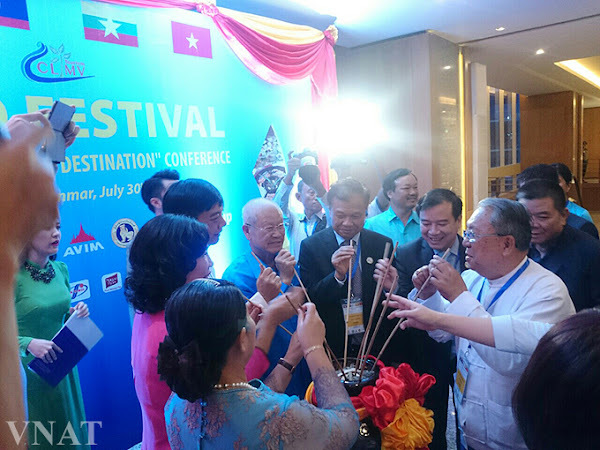 Vietnam introduce the specialty "Nem ran"
The Tourism Ministers and Bank Governors of the four countries have issued a joint press releases on the Platform of Connecting Travel Space "Four countries - one destination" to encourage the Tourism Working Groups (TWG) in the deployment of projects to achieve specific results for the mutual benefit of the CLMV countries; to focus on cultural and heritage tourism, the natural reserve tourism, the community tourism, the river tourism and the cruise tourism. It's expected till 2018, the region of CLMV will receive 28.5 million visits of international travelers.